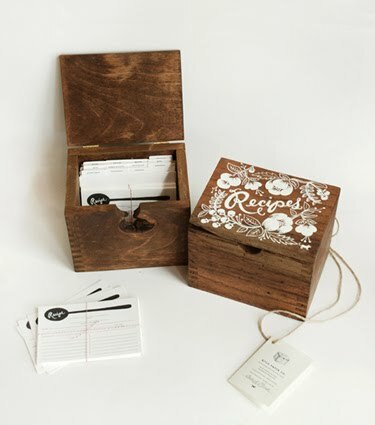 Tangled and True: heirloom recipe card box. The price is a bit steep, but it's beautiful, no? ooohhh, i love recipe boxes. This makes me want to start a collection. And, I'm glad you're back! I love it, and I don't even cook!